Keanu Reeves has recently been in the headlines for all the right reasons and his landing a part in the upcoming Toy Story Part 4 is just a small part of it. This well-loved Hollywood actor, known for his roles in ‘The Matrix,’ ‘Speed,’ and numerous romcoms is now sealing his place in the hearts of numerous fans because of his charitable ways. Although it may seem like Reeves has had life handed to him on a platter, the truth is very different. His childhood wasn't one of the best because his drug addict father was hardly around. At an early stage of his career he lost a close friend, River Phoenix, to an overdose of drugs, and a few years later his long-time girlfriend in a car accident. The pain he endured so early in life probably ignited the sensitivity in him. When his sister, Kim Reeves, was diagnosed with leukemia, a few years ago, Keanu stood solidly by her side. He later set up a charity in her honor but did not attach his name to it. “I don’t like to attach my name to it, I just let the foundation do what it does.” He said. The foundation assists in cancer research, a very expensive area that needs constant funding, and also helps a number of children's hospitals. Keanu has not just set up the foundation but does his bit for cancer awareness when he can. In 2008, he personally manned the phones for a cancer telethon, urging fans to actively do their bit in the efforts to heal cancer. Keanu also donates generously to other charities; SCORE being one of them. 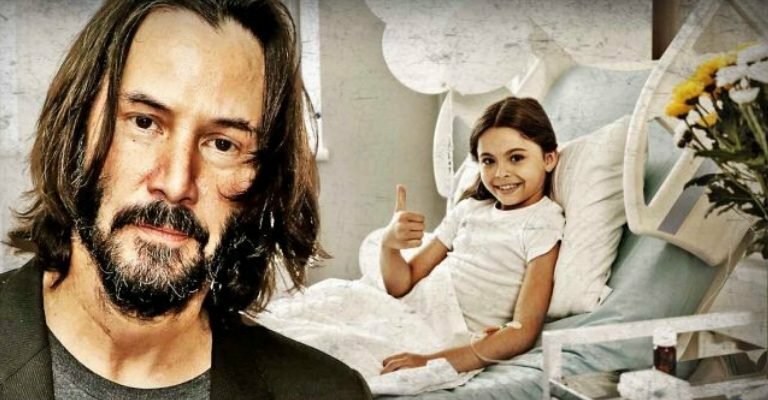 Keanu's work for cancer is in the news right now, but there are many other charitable things that he has done that have not made it to the headlines because he prefers to keep things low profile. During the shooting of The Matrix, he bought Harley Davidsons for the special effects team. He is also known to take a salary cut so that other actors could benefit from it. For the Matrix movies, he agreed to a cut in his salary so that the special effects team could be paid their wages. He even paved the way for the producers to hire big names like Al Pacino and Gene Hackman by giving up a large part of his salary. Some time ago, a video of him giving up his seat on a train for a lady went viral. Keanu was also in the news in 1997, when he chose to ‘hang out’ with a homeless man, just because he felt like it.